We are a leading Manufacturer of automobile testing instruments from Jaipur, India. Technosys Systems is channel partner of Manatec on the behalf of jagdamba enterprises, Manatec is one of the leading manufacturers of Car Scanners, 3D Wheel Aligners in India. Located in Panducheri, the company manufacturers car scanner, wheel aligners, tyre changers, wheel balancers, diagnostic scanner, etc.Manatecis one of India’s most trusted and professional company in the field of car scanners and Garage Equipment. One of the distinct characteristics of this trustworthy company is its promise to meet success & perfection. urtures an enterprise to stand tall in the realm of Automobile Industry by proffering the best quality equipment in the field of Garage Equipment. 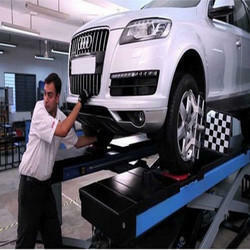 Looking for Automobile Testing Machine ?